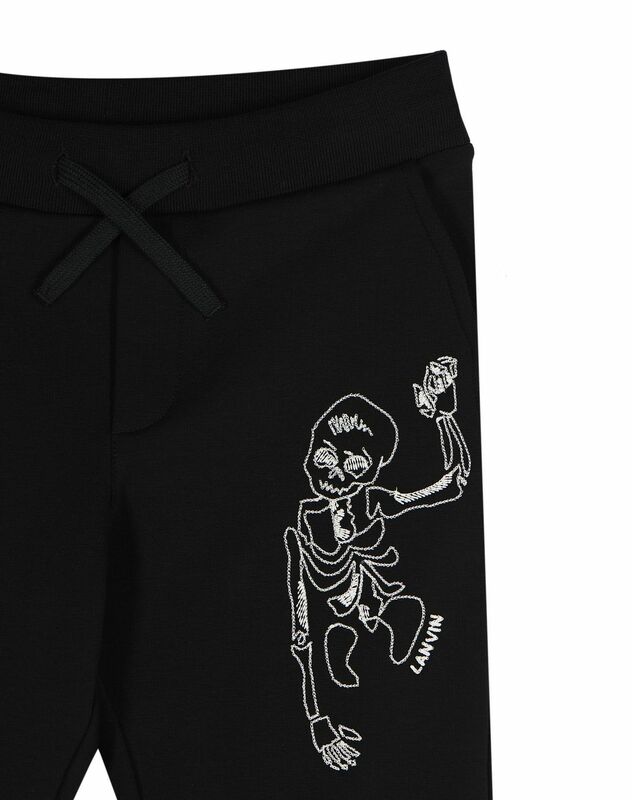 Black cotton jogging pants, black drawstring, slanted side pockets, patch pocket on the back, skeleton appliqué motif detail and ribbed hems. 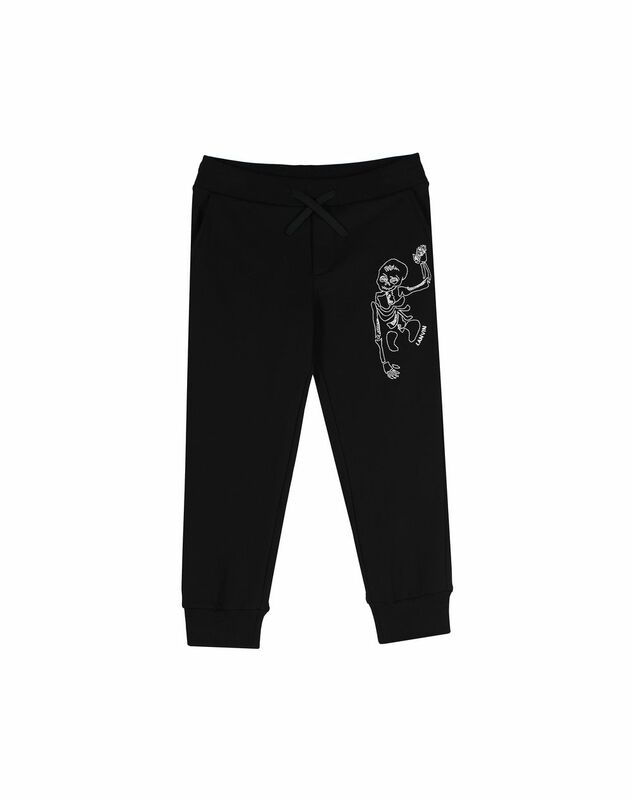 Casual jogging pants let kids move around comfortably. The skeleton motif adds character to this Lanvin piece. 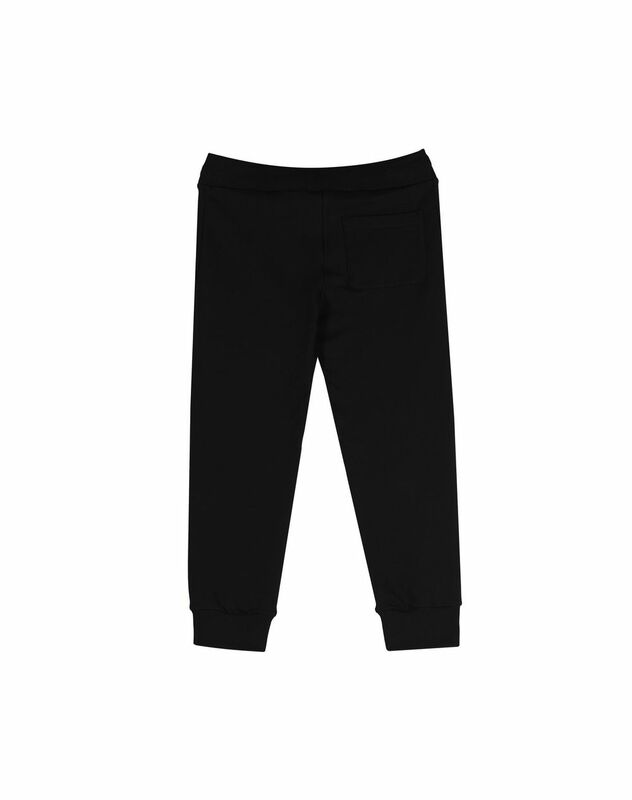 Perfect for all occasions, these pants have a modern and casual look.